***If you would like a gift message please type your message in the customer comment section at the end of checkout. ***Shipping is Ground for Louisiana Only. Out of state is 2nd day or next day air only. **Any orders placed after Wednesday will not ship out until Monday to ensure product freshness. 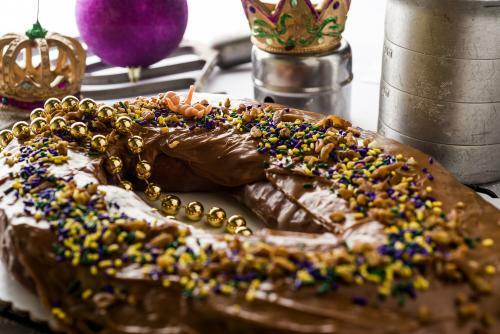 A very popular custom that is still celebrated is the making of the "King's Cake" which represents the three kings who brought gifts. 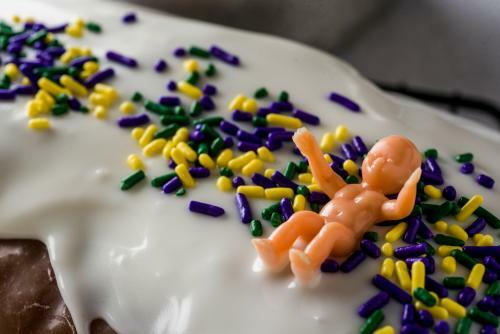 A plastic baby is baked inside the King Cake, and the tradition is whoever receives the baby in their piece of cake must buy the next King Cake or throw the next party. "I am sure I will order from you again. Thank you!" 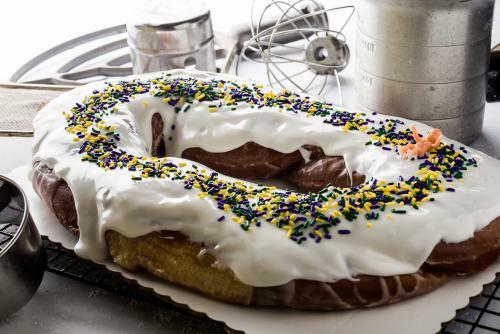 Product (King cake) was excellent. I wish there wasn't a lag between when you order and when it was shipped out. I paid for 2 day delivery, bought on a Monday, shipped out on Wednesday, and arrived to destination on Friday. 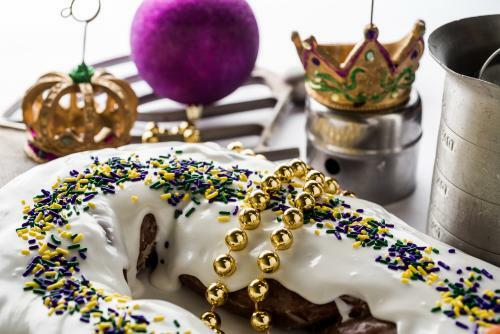 I first had a king cake from Thee Heavenly Donut about five years ago. They've been my favorite ever since. And with both of my daughter's out of town (Texas and Michigan)I surprised them with cakes this Mardi Gras season and they both loved them.